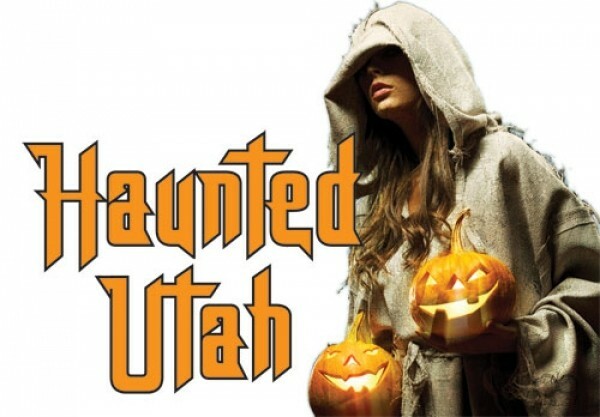 October in Utah brings all the makings of a perfect fall—cooler weather, leaves changing color, the undead roaming parking lots with chainsaws. The state has many horror houses to choose from; here are some of your best options for a haunted night on the town. 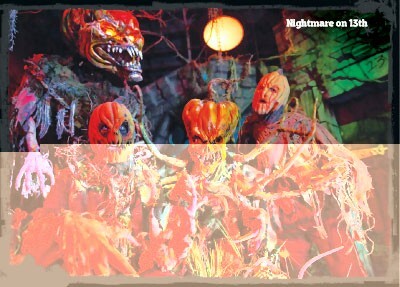 For nearly a quarter of a century, Nightmare on 13th has been a staple in the Utah haunted-house scene. The haunt consistently operates like a well-oiled machine—it’s smooth, efficient and pretty damned scary. This season, Nightmare on 13th is showcasing the 13 Levels of Fear, Dark Harvest and Mutant. Each section is seamlessly integrated into the large space that Nightmare on 13th occupies. With a fairly high budget and intimate knowledge of what works and what doesn’t, Nightmare on 13th wastes no time getting right to the show. People lined up outside are constantly pestered by zombies, monsters and ghouls, setting the stage for the night ahead. The inside is reminiscent of a waiting area not unlike Disneyland. There are a few different pre-taped segments playing on a screen behind a large stage. Things drop from the ceiling and drops of water spray at just the right moment to make sure you’re not bored as attendants stagger the groups through the main door. Once you’re inside, it’s clear that every single dollar of the budget has put to expert use. Everything looks top-notch, from the makeup on the cast to the props to the effects. The one downside is that it’s the most popular, and therefore the busiest. Even with staggered entrances, you’re bound to catch up to the group in front of you before too long. Highlight: The overall atmosphere is the most consistent all the way through. Every area has just enough light to see the extra creepy details, but still dark enough for surprises. It’s a tough balance to achieve, but it’s done very well. Strangling Brothers is relatively new, but has already established itself as one of the best haunts in town. The circus-tent waiting area is a nice touch, complete with a large stage near the front of the line. Pre-recorded videos play on a screen in the background, but the main focus for those waiting is a mix of live performances. A demented clown magician and a zombie dance company performing Michael Jackson’s “Thriller” make the long wait much more bearable. The wait is the one downside—but only until you actually get started. They stagger the groups a lot longer than at other haunted houses, but that adds a lot to the experience. 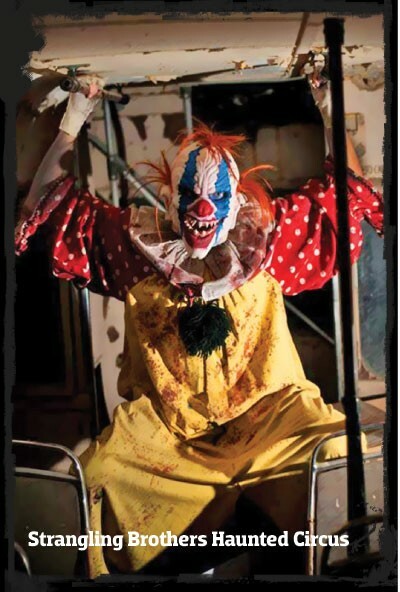 The Haunted Circus, housed in more than 20 converted semi-truck trailers, is the perfect mix of indoor and outdoor sets. The claustrophobic nature of confined semi-trailers is immediately offset once you walk into the open areas that are painstakingly made up to take full advantage of the night sky. A steady pace will keep you isolated from the groups in front and behind—and you’ll feel even more alone, vulnerable and prone to whatever lurks around the next corner. Highlight: The animatronics are used to a great advantage, but the creepy, bearded, over-6-feet-tall and (hopefully) chained-to-a-wall giant named Gorliath provided one of the best scares of the night. When Castle of Chaos faced the problem of the closing of the wonderfully run-down and perfect-for-what-they-needed building on 3300 South, the owner simply figured out a new place to go, moved there and kept scaring everyone, without skipping a beat. With three locations, Castle of Chaos shows no signs of slowing down. The Riverdale location (1134 W. Riverdale Road, Riverdale) features Carnival of Chaos in 3-D, 7 Deadly Sins and the Screamatarium. 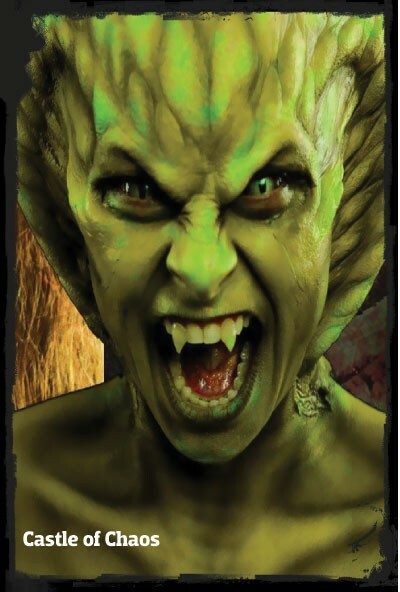 The Orem location (168 E. University Parkway, Orem) features Carn-Evil in 3-D, Blackwood Estates, Bedlam Hospital for the Criminally Insane and the Phobias Research Center. The outside atmosphere of the Taylorsville location (5576 S. Redwood Road, Taylorsville) isn’t quite the same as other haunts around town, mostly because it’s in the middle of a large shopping center. Once inside, though, things take a fantastic turn. There are no pre-recorded videos or performances, but there are plenty of creatures lurking through the lines, priming guests and preparing them for what’s to come. Castle of Chaos in Taylorsville is broken into five separate levels, each with its own theme and execution. Brave visitors can also choose to participate in “hands-on horror,” in which you sign a waiver and wear a glowing ring around your neck, giving the cast permission to single you out and grab, pick up or even move you in the name of a scare. There’s a very good possibility that you’ll be separated from your group entirely and left to wander the haunt alone. The only downside to this haunt is how many areas were maze-like and pitch-black, causing traffic jams of people on more than one occasion. Highlight: The cast takes particular interest in finding the weakest in each group and singling them out for a prolonged period of time. Very fun to see—unless you’re the one they’re targeting.